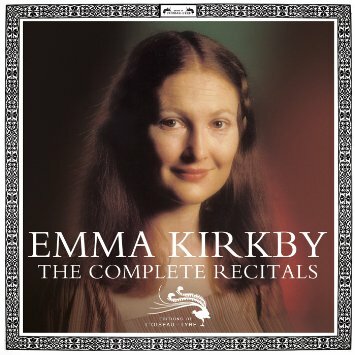 For over 40 years, Emma Kirkby has been a sought-after soprano soloist, and for most of her career she has been arguably the grande dame of early-music vocal performance. Her voice is celebrated for its clarity and lightness and her singing for its accuracy and vibrancy, and her relationships with such ensembles as the Taverner Choir, the Consort of Musicke, and the Academy of Ancient Music have resulted in standard-setting recordings of both standard and obscure repertoire, including what many (myself included) consider to be the finest-ever period-instrument recording of Handel’s Messiah. She was a featured soloist on the recording that first made Hildegard von Bingen a household word (among early-music households, anyway). The majority of her most influential recordings were issued on the L’Oiseau-Lyre label, and for this 12-disc retrospective that imprint’s parent company has wisely revived the beloved L’Oiseau-Lyre cover design and reissued each disc in a cardboard sleeve replicating its original cover. The albums provided in this box set include Kirkby’s recordings of Renaissance chansons and dialogues, several discs of Bach and Handel cantatas, a program of Purcell songs, and two discs of arias and sacred music by Mozart. Many libraries will already own some of all of these recordings, but since all were originally issued between 1979 and 1990, few libraries are likely to have them all on CD. This set is very strongly recommended to all classical collections. It may seem strange to categorize as “classical” this album of cello-and-piano arrangements of songs associated with the late jazz singer Nina Simone (with a couple of classical miniatures thrown in). But the more I listen to it, the more that seems like the only logical way to describe this album. 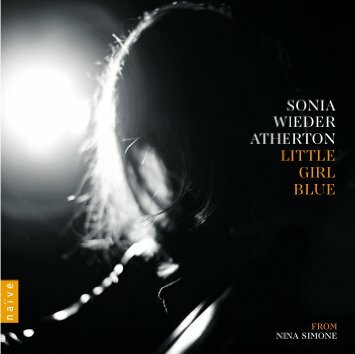 Accompanied by pianist Bruno Fontaine and percussionist Laurent Kraif, cellist Sonia Wieder-Atherton has made powerfully evocative modern art music out of the unique phrasing, inflections, and melodic characteristics of Simone’s interpretations of jazz and popular song — interpretations that had a vexed relationship to jazz tradition in the first place — and created something new from them that sounds completely unique and deeply, soulfully melancholy. Brilliant. 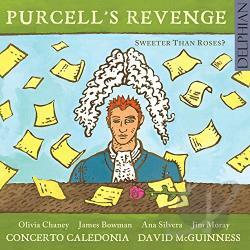 Purcell’s Revenge: Sweeter Than Roses? Period instruments and Fender Telecasters meet edgily on Purcell’s Revenge, a project that finds the Concerto Caledonia ensemble juxtaposing songs and airs of Henry Purcell with Scottish fiddle tunes, instrumental extracts from Purcell operas, and original songs by members of the group. Familiar songs like “Music for a While” and “Sweeter Than Roses” rub up against country-dance tunes and the occasional distorted electric guitar, making the program sound like what might happen if you put CDs by the Albion Band, the Consort of Musicke, and Cordelia’s Dad in a multi-disc player and hit the shuffle button. It’s slightly befuddling but tons of fun. 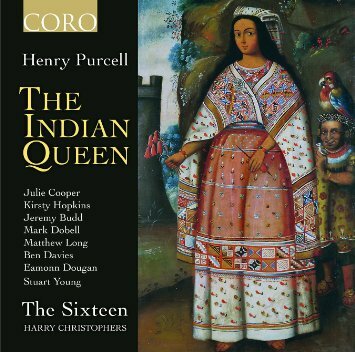 Also very fun, but in a much more conventional way, is this wonderful performance of Purcell’s semi-opera The Indian Queen, including the final masque that was written by Henry’s younger brother Daniel when the composer died before completing the work. As conductor Harry Christophers notes, the vocal parts are lovely but it’s the string writing that really makes this piece special; arguments may rage as to whether Purcell or Byrd was England’s greatest composer, but I would suggest that we split the difference: Byrd set the standard for vocal writing, while Purcell did the same for orchestration and melody. In any case, this disc would make a welcome addition to any classical collection. The two clarinet sonatas contained in Brahms’ opus 120 were the last chamber works he produced before dying a few years later. 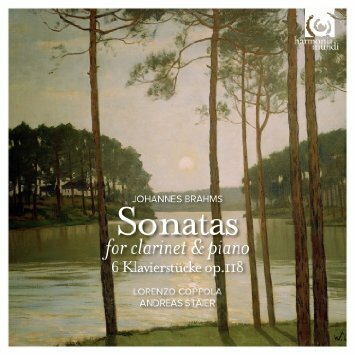 They were written for Rcihard Mühlfeld, a clarinetist of unusual skill and expressiveness, and the sonatas reflect that fact; the slow movements, in particular, find Brahms providing vehicles of expression that are as powerful and gentle as any in his oeuvre. Clarinetist Lorenzo Coppola and pianist Andreas Staier (playing a Steinway grand that was built at roughly the same time Brahms wrote these pieces) wring every drop of emotion from this music, but always with the utmost taste and restraint. This is a very special album, one that should find a place in every library collection. 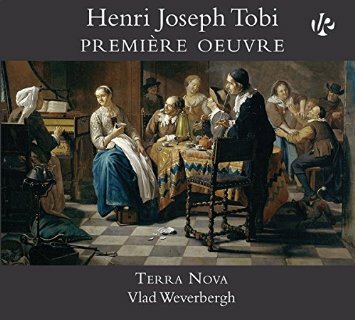 Another exciting clarinet-centric album is this collection of trios by an obscure figure from the classical period, Belgian composer Henri Joseph Tobi. Each of these three pieces is written for the rather unusual instrumental combination of clarinet, violin, and cello. None of them has been recorded on period instruments before (only one copy of the published score is extant), and while the music itself is more enjoyable than groundbreaking, the unusual instrumentation and the obscurity of the composer make this disc a very attractive candidate for library purchase — especially given the very lovely performances and sterling sound quality of the recording. 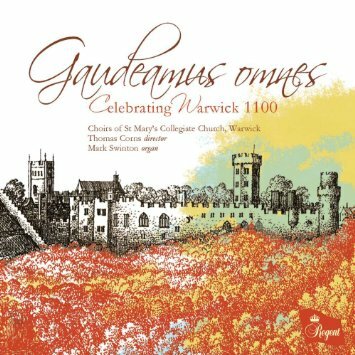 This disc is the result of an interesting programming decision: in celebration of the city of Warwick’s 1100th birthday, the choirs of St. Mary’s Collegiate Church decided not to survey a millenium’s worth of English choral music, but instead to focus on works written in living memory, by such composers as Vaughan Williams, Walton, and Parry, as well as some by living composers like James MacMillan and David Briggs (with one brief plainsong chant thrown in for good measure). The result is a predictably joyful program, stirringly sung and very nicely recorded. Perhaps not an essential purchase for all libraries, this disc would nevertheless be a good addition to any comprehensive collection of choral music. 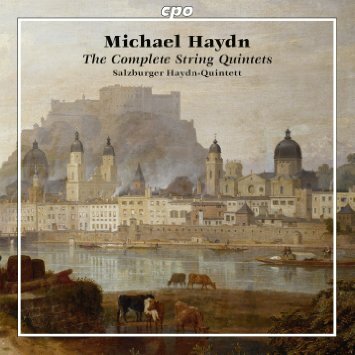 Regular readers of CD HotList will know that I’m a big fan of Michael Haydn, younger brother of the more famous Joseph. And this two-disc presentation of his five surviving string quintets only makes me love him more: the way his very Austrian high classicism will suddenly be salted with an unexpected dissonance; the way he never seemed to settle on a single structural approach, using the different instruments in different ways from piece to piece and drawing on different national stylistic traditions. As always, his approach to melody can just break your heart. The Salzburger Haydn-Quintett play beautifully and sensitively (on period instruments), and as is so often the case, I kind of wish the recorded sound were just a bit closer and more intimate. This may seem like a strange package: two discs, one dedicated to flute trios by C.P.E. 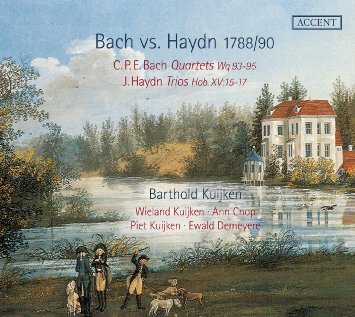 Bach and the other to flute quartets by Joseph Haydn, presented with the unusual title Bach vs. Haydn. What is flutist Barthold Kuijken thinking? The answer is simple: he feels that these clusters of pieces represent both composers’ best writing for the flute, and the fact that they contain such striking stylistic contrasts is particularly interesting given that they were written at nearly the same time. Kuijken, being a genius and easily the finest baroque flutist of his generation, brings out these differences brilliantly, creating an album that is simultaneously a joy to listen to and an essential pick for any library supporting the study of music from the classical period. 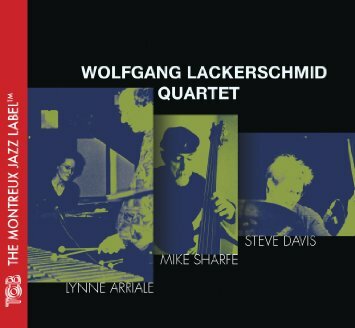 This is a delicately gorgeous guitar-trio album, one that bears very little resemblance to jazz as typically understood: not only does it never swing, it almost never locks into anything that could reasonably be called a beat. 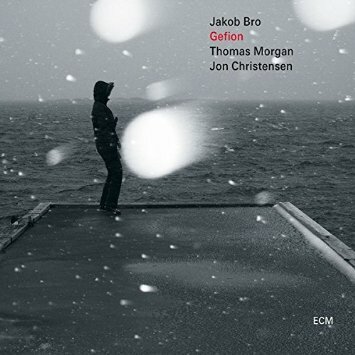 But the open, sometimes nearly pointillistic sound sculptures created by gutarist Jakob Bro, bassist Thomas Morgan, and drummer Jon Christensen are among the most beautiful you’ll ever hear. Bro’s tone is somewhat reminiscent of Bill Frisell’s, as is his ability to make you catch your breath with an unexpected note choice or phrase. Strongly recommended to all jazz collections — though I’m a bit grumpy about this album’s skimpy just-under-40-minute length. Another 30 minutes of this gorgeousness would have been nice, and would have fit comfortably onto the disc. 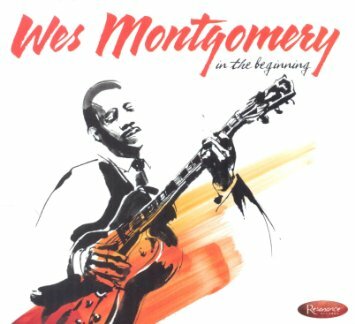 Here’s a very different, though equally essential, jazz guitar document: this one represents the third in an ongoing series of rare and archival Wes Montgomery recordings, presented by the Resonance label. This set features performances recorded between 1949 and 1958, the period during which Montgomery became the titan of jazz guitar that the world recognizes today. It includes the entirety of a recently-discovered recording session with producer Quincy Jones as well as a number of live recordings (of varying sound quality), some of them featuring vocalists Debbie Andrews and Sonny Parker. No jazz collection can afford to pass this up. 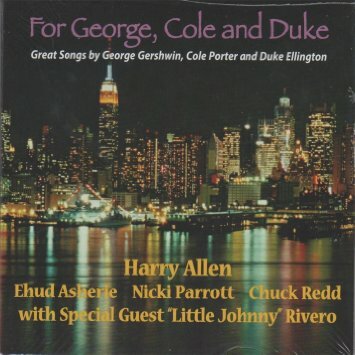 This is a lovely and heartfelt tribute to the Big Three of jazz song composition: George Gershwin, Cole Porter, and Duke Ellington. Saxophonist Harry Allen leads a quartet that adds percussionist “Little Johnny” Rivera on a handful of Latin arrangements, but for the most part this is a selection of very straightforward and straight-ahead renditions of familiar standards (“In a Mellow Tone,” “How Long Has This Been Going On?,” “Love for Sale,” etc.) played (and sweetly sung, by bassist Nicki Parrott) in a manner distinguished more for its warmth and understated virtuosity than for its innovation. It’s the perfect album to accompany a candlelit dinner–or cuddling by the fire later on. There’s something you can always count on with Warren Vaché and with the Arbors label: the music will swing, and swing hard. 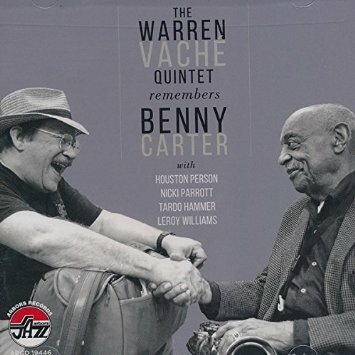 This one swings harder than most, because Vaché and his quintet are paying tribute to the great saxophonist and composer Benny Carter, whose “When Lights Are Low” is now a full-fledged jazz standard (and is given a wonderfully heartfelt rendition here). When Vaché solos you can hear the echoes of New Orleans in his phrasing and vibrato, and Carter apparently loved that about him because they collaborated many times over the years. 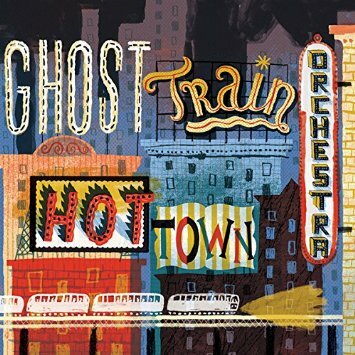 This is a wonderful album, and that’s no surprise at all. 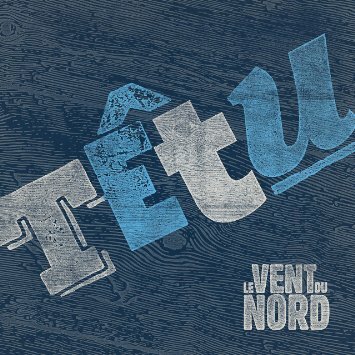 My favorite Qébécois folk group is back with its eight album, once again providing an alternately rollicking and heart-tugging set of songs and tunes. For those unfamiliar with its musical traditions, Québec boasts a unique folk music style characterized by call-and-response singing, “crooked” (i.e. irregular) rhythms, and such unusual instruments as the jaw harp and the hurdy-gurdy–though the fiddle is centrally important. There are strains of Irish and English influence in this music, and if you listen carefully you’ll hear hints of the Cajun music for which Québecois traditions provided some of the wellspring (though the distinctions between Acadian and Québecois culture are important). Anyway, Le Vent du Nord is probably the finest living example of this music, combining virtuoso instrument technique with sweet singing and an irrepressible joie de vivre, and every library collection would benefit from owning a few of their albums. The idea of making pop music in the context of bluegrass instrumentation isn’t new (the New Grass Revival and the Seldom Scene were doing it back in the 1970s), but it’s renewed every decade or so when a new generation of young people discovers that just because you play mandolin or Scruggs-style banjo doesn’t mean you have to play “Reuben’s Train” all the time. 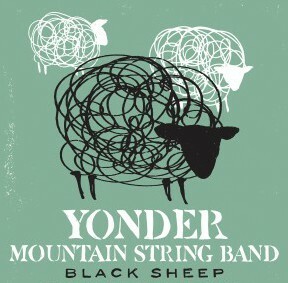 Yonder Mountain String Band is one of the most successful recent examples of what can happen when you break out of those artifical boundaries, and has become a festival favorite. YMSB’s latest album makes a great introduction to the band, skillfully blending traditional textures with modern song structures and lyrical concerns. Expect demand. 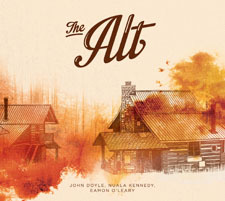 To American eyes used to seeing “alt” used as a prefix, calling a group or an album “The Alt” may seem kind of dumb. But in fact it’s a reference to a poem by Yeats that itself refers to a mountain gully in the northwest of Ireland, and these three musicians–John Doyle, Nuala Kennedy, and Eamon O’Leary–are anything but dumb. They are, in fact, minor superstars in the Celtic music scene, and by coming together to make this album they have created a thing of nearly perfect beauty: understated but powerful songs and liltingly gorgeous tunes delivered with a minimum of fireworks and a maximum of tasteful elegance. Some of the songs are pretty familiar (“Willie Angler,” “One Morning in May”) but all sound fresh and new in these arrangements, and sung by these voices. Brilliant. 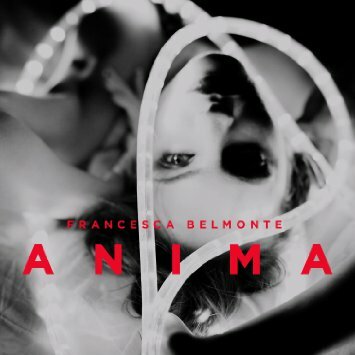 Francesca Belmonte got her start singing with Tricky, appearing on both False Idols and Adrian Thaws, so three significant things about her solo debut should not be surprising: it’s soulful, it’s weird, and it’s produced by Tricky. This in turn means that the sound is dark and brooding and alternately funky and experimental. There are hooks but they’re subtle and sometimes located in places other than the vocal track, though the vocals provide plenty of strange fascination all by themselves. Belmonte sings, whispers, raps, moans, declaims, and basically lays out a wide-ranging emotional and musical territory and claims it all as her own. I haven’t heard anything else like it all year, and yes, that’s a compliment. You don’t realize how long it’s been since you’ve heard a great power-pop album until you hear one and you say to yourself “Man, it’s been a long time.” That was my reaction to the fourth album from Turbo Fruits, which offers all the standard power-pop features: crunchy-fuzzy guitars, tight vocal harmonies, glorious melodies, and unambiguous verse-chorus-verse song structures with a minimum of wanky guitar solos. This is, quite frankly, what rock’n’roll ought to be. 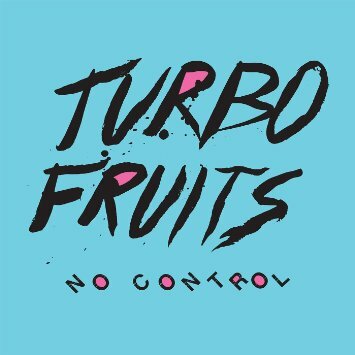 If you find that your Cheap Trick and Fountains of Wayne discs are circulating heavily, then do your patrons a favor and invest in the Trubo Fruits catalog. 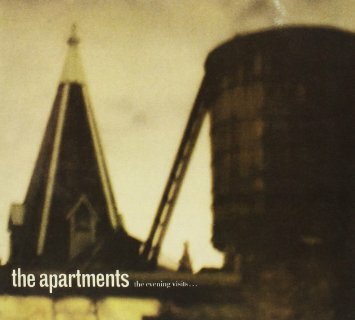 Who were the Apartments, and why would members of the Go-Betweens and the Chills be writing the liner notes for the deluxe reissue of their first album? The answer to both questions is: Peter Walsh, who served as something of an inspiration to both Robert Forster and Steven Schayer back in the heady days of late-1970s post-punk Brisbane. I’ll be perfectly honest: this album isn’t my cup of tea. No denying Walsh’s skills, but his voice is too quavery for me and the production is too thin. But the songs are objectively great, and libraries collecting comprehensively in pop music will benefit from having both the original album and the additional singles and unreleased demos that are included in this reissue package. Praveen Sharma (a.k.a. Braille) made his name as a house producer, but in recent years his sound has morphed into something more introspective and melancholy. 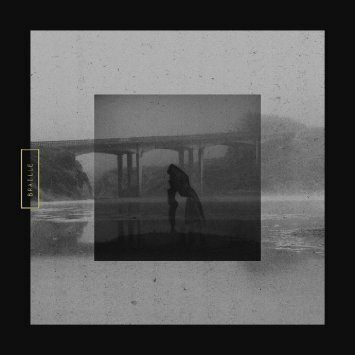 His debut full-length is based on slippery beats, quietly booming 808s, transmogrified field recordings, and his own vocals–though there’s nothing here that could be mistaken for a “song.” Instead, each track is a sonic collage of disparate musical elements unified by a vague but insistent groove, and while none of them will likely propel you out of your chair to dance, several will gently invite you to do so. As for me and my house, we’re happy to sit in a comfy chair with headphones on and just marvel at all the sonic details. Here’s one for the staff party — assuming your library’s policies are characterized by a high tolerance for public bootie-shaking. 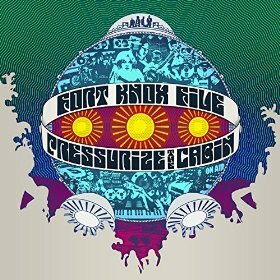 Let’s be very clear here: there is nothing even slightly original about Fort Knox Five’s sound. On their latest album, it’s basically equal parts Parliament Funkadelic, DC go-go, and late-80s hip hop. But (as I’ve had occasion to observe more than once in this venue) in pop music, originality is overrated. What the world needs now is hooks, sweet hooks, and if they’re deeply embedded in old-school funkalicious grooves, why, so much the better. 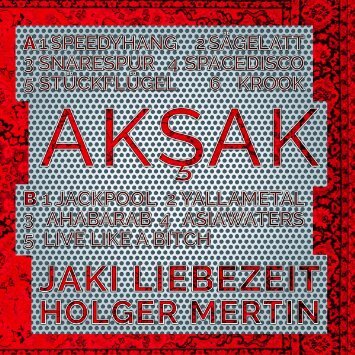 This strange album is the product of a collaboration between two percussionists: Jaki Liebezeit (formerly of Can) and Holger Mertin. Liebezeit is well known both for the uncanny precision of his time-sense and for his predilection for creating genuinely funky beats within the context of decidedly non-funky time signatures (like 5/4 and 7/8). On this album, Liebezeit and Mertin play a variety of acoustic and electronic percussion instruments from an equally wide variety of musical cultures, filling in the sonic and conceptual space with occasional contributions from guitarists, violinists, keyboardists, etc. The resulting sound is kaleidoscopic in texture and is weirdly, awkwardly danceable. It’s also pretty consistently fascinating, as all of Liebezeit’s projects tend to be. All Is Not Lost, but Where Is It? For those unfamiliar with the group, Suns of Arqa is a rather unique collective of musicians that circles around the nucleus of bassist Michael Wadada. Its music draws on traditions from around the world, very often from India, and tends to pull elements of those traditions into a recognizably unique ambient/dubby/funky fusion style. 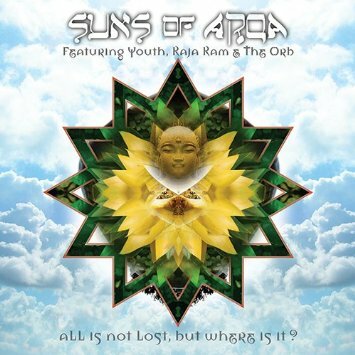 Suns of Arqa have made over 35 albums since 1979, and I’ve never heard a bad one. The latest is yet another triumph of pan-ethnic funkiness, featuring all the tablas, bansuris, dubwise production effects, and rolling basslines your heart could possibly desire. In addition to the purchase of this album, I strongly recommend a deep dive into the Suns of Arqa back catalog. In its deep southern regions, Italy is hot and dry and home to tarantulas. Legend has it that if you’re bitten by one, the only way to counteract the effects of its venom is to dance frantically–hence the emergence of the musical form known as the taranta. 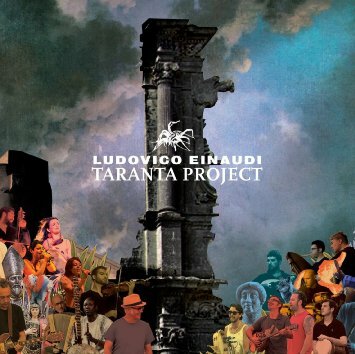 Composer Einaudi Ludovici has long been fascinated by this music, and for this album he brought together musicians from around the world and blended elements of West African and Turkish music into traditional taranta melodies and songs, with absolutely delightful results. You’ll hear one-stringed fiddles, electric guitars, koras, and a variety of other instruments alongside traditional Italian songs, and all of it fits together seamlessly but also sometimes surprisingly. Highly recommended. Germany, oddly enough, continues to be a world-leading producer of top-notch roots reggae music, and Dubvisionist (a.k.a. Felix Wolter) is one of the most accomplished of Germany’s many reggae producers. 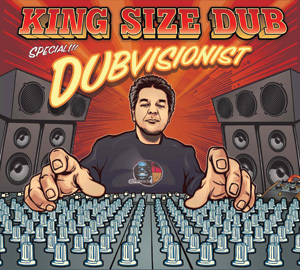 He has been part of the German reggae scene since the 1980s, and on this special instalment in the Echo Beach label’s excellent King Size Dub series he puts his remixing prowess to work on tracks originally recorded by the likes of Ari Up, the Senior Allstars, TACK>>HEAD, and Dub Syndicate. His signature style is digitally forward-looking but steeped in the old-fashioned verities of dubwise roots reggae, and this collection showcases that style to great advantage. Here’s something utterly fascinating: an electronic re-creation of field recordings made in Central Congo in the 1930s and originally released on a set of 78 rpm records in 1950. 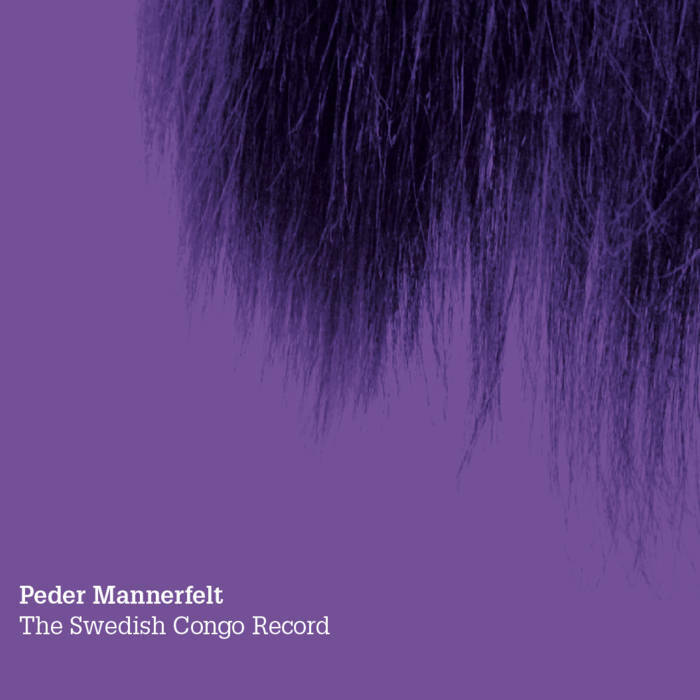 The Swedish electronic musician Peder Mannerfelt came across these recordings and originally planned to use them as a source of samples, but ultimately decided instead to recreate the original recordings in full, using only synthesizers. The result is eerily beautiful but also unsettling: you hear voices that you know aren’t voices; you hear rhythms that seem fun and funky at first, but that eventually start to seem dark and more earnest than that; and you’re prompted to reflect on questions of empire and colonialism that don’t necessarily usually arise when listening to field recordings. I can’t get enough of this one, and libraries serving anthromusicology programs should definitely pick it up. 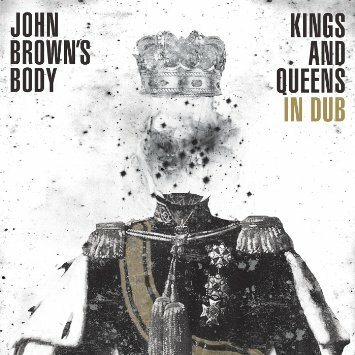 It’s been two years since John Brown’s Body, America’s best reggae band, released a studio album, and while it’s high time for some new music from them there’s nothing wrong with a nice dub outing. In keeping with their approach to reggae music generally, this dub companion to 2013’s Kings and Queens pushes the sonic and stylistic boundaries a bit, featuring remixes from the likes of Dubfader, Nate Richardson, Michael G, and even the legendary Dennis Bovell. These remix artists have varying styles and approaches, but the trademark JBB sound is always there: rich, swirling, thrilling. An essential companion album to one of the best records in John Brown’s Body’s rich catalog.